2.5-year-old Gohil Khyatiba is the only daughter of her parents. Unfortunately, when she was just an infant she was diagnosed with Thalassemia Major, a disease that requires a periodic blood transfusion, which is painful and expensive. Her father is working as a clerk at district court in Bhavnagar, Gujarat. 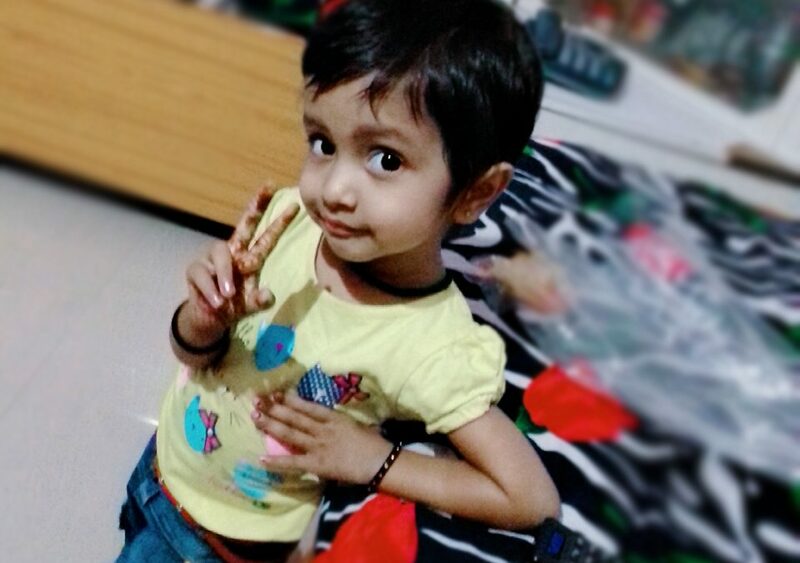 Few days back she went through a cord blood transplant but unfortunately it was unsuccessful in treating her disease. Only a Blood Stem Cell transplant will help her survive. She is in urgent need of a Blood Stem Cell donor to seek a permanent cure. Take the first step to be her lifesaver. Register with DATRI as a Blood Stem Cell Donor and help her win and emerge victorious in her battle against a severe Blood Disorder. DATRI Blood Stem Cell Donors Registry, 1207 – 1208, 12th floor, Ticel Bio Park Phase 2 CSIR Road, Taramani, Chennai – 600113.